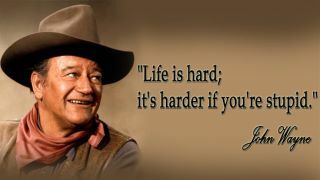 A good friend just posted a photo and a quote by John Wayne who said Life is hard, but it's harder if your stupid. As my grandma used to say, that's puttin' the hay down where the goats can get it. Translated to modern, non-hillbilly terms -- Wow! John used accessible language, to say something true and quite profound. The thing is, I'm living proof of the truth of this quote. I'm not always stupid, but when viewing some of the boneheaded things I've done in the past through the lens of experience, I would be hard pressed to deny the shoe fit. I think the trick is this -- when you do something stupid, fess up. Own it. Only someone who is chronically stupid would deny they did something stupid, knowing that all the smart people know they not only did something stupid, but behaved stupidly afterwards by denying it. When you take responsibility, you grow. And if a similar situation comes your way again, you have the opportunity to behave differently. As Forrest Gump says -- Stupid is as stupid does. And that's all I'm going to say about that. Put me down in the list of stupis; done my fair share. Now, if only more people would admit it, the world would be a lot better off. Excellent post. Acknowledging the stupidity of something we did in the past means growth. Living is about learning and experiencing. I also look back at my past experiences from a different angle. Been there, done that, probably do it again before I die..but yes..own up. Stupid is usually just that: stupid. But sometimes, after we've gained a little perspective, we find that it wasn't so terrible after all. Worth a laugh, even. Sadly, I don't have enough of those. Mine are usually just the garden variety stupid, with a few spectacular stupids thrown in. But at least I own them. Everyone is stupid sometimes. I think people who are stupid on a regular basis are happier. If one is stupid, then one doesn't worry about details, such as correct grammar. The Totally Stupid can do whatever they want without any worries about being accurate. I would like to be even more stupid than I am. Even smart people can be stupid. To be human is to err and makes us real! haha, Rick. 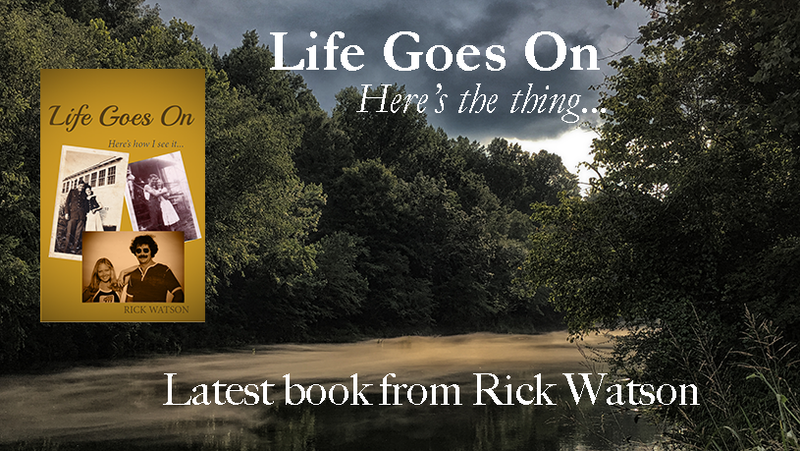 You are one funny guy...I've been cruising your blog and reading your stories...and enjoying myself! thanks for the fun! "Ignorance can be fixed, but stupid is forever." That's a quote from somewhere in my past. I've grown so much from taking responsibility for all the stupid things I've done that I should be 8 foot tall! I always tell any newbies in surgery..don't worry, any mistake you make I've already done it better! Life is like a carton of Cadbury Eggs...you never know if you're going to be around next year when they're back in season.